Happy Friday! 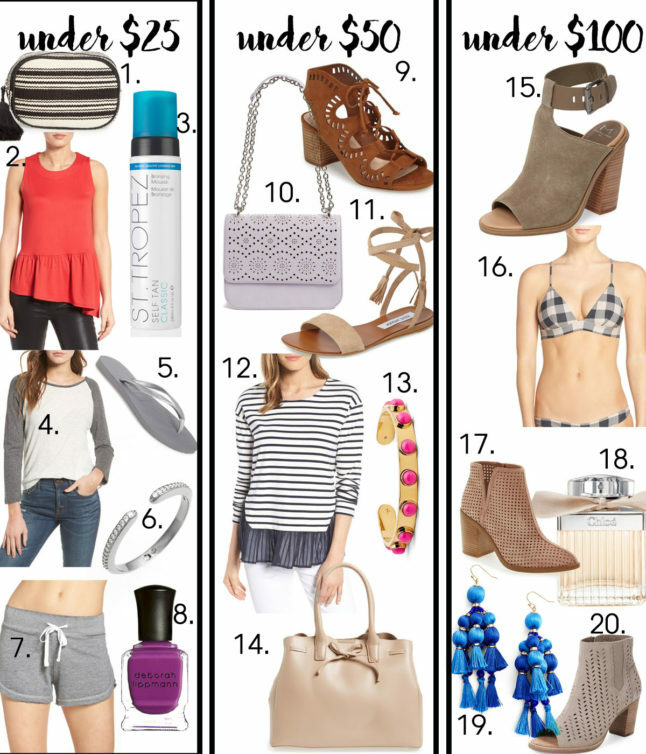 We wanted to bring back an older post we used to do sharing our favorite things this week + some great pieces we just bought or found (mostly on SALE!). After the major flight/passport debacle, we are FINALLY leaving on Sunday (fingers crossed we make it) to Mexico, haha. Thank you to all of you all who were helping us look for it, and giving us tips on how to get it quicker! This trip will be so amazing once we get there. We hope you all have a great weekend! We get the tightest hips. Do you all? It is probably because we spend so much time sitting and working, oops. We are definitely going to be trying these hip stretches! We have also been going to yoga at Exhale Spa, which we LOVEEE! Such a beautiful studio, and we love their classes and spa. If y’all are heading out on a trip like we are, you should definitely check out this post on 34 packing hacks. To be honest, we try to fold everything nicely, but when we get there it is all wrinkled, UGH! The big question for white shoes: how do you keep them so white?! Loving these tips on how to keep your white shoes so clean and white! These funfetti cinnamon rolls look AHHHMAZING. Far from healthy, but we are dying to make some! In case you all are looking for baby names, or just like reading them for fun, like we do, haha, here are some great ideas. Are we the only ones who like to plan out future baby names?! We have been trying this mBreakfast powder in our pancakes and smoothies, and loving it. We were a but skeptical of it at first, but have a ton more energy after using it for a couple of weeks, and we love the whole idea behind it. You can order some here. 32 signs you’re an introvert. We are both definitely introverts, and can relate to a lot of these! 10 salad dressings you can make yourself that are super easy! This tote is one of our favorites for traveling, and just everyday. You can personalize it with your initials, too!